Heidi, Alana and I are excited to go see our former church in Grain Valley this Sunday! We will be visiting First Baptist Grain Valley located at 207 W Walnut in the heart of GV. 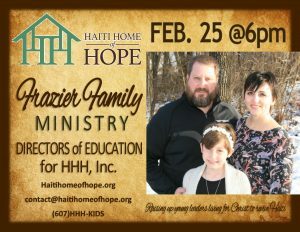 We will be at both morning services starting at 9:00 am and will be presenting information about what we expect to do at HHH during the evening service at 6:00 pm. We can hardly wait to see our old friends and spend some time catching up. We are excited to see what has been going on at church since we left and meet all the new families that now attend. We hear the nursery is exploding – this is a great problem to have! We know there are many supporters that we have not had the opportunity to meet yet so we extend this invitation to all of you – We would love to get to know you if you are available to swing by. The evening service is informal and is intended to give a better picture of our calling. Of course along with the visit comes our sales pitch. We are actively seeking support to help us get onto the mission field as soon as possible. We can fill you in on the many different ways to help out. One avenue of support is t-shirt sales. We have partnered with Time Warp Apparel to print the t-shirts. Ryan Knight has graciously offered to donate a portion of his labor to help offset costs. This is a mock-up of what we have come up with. 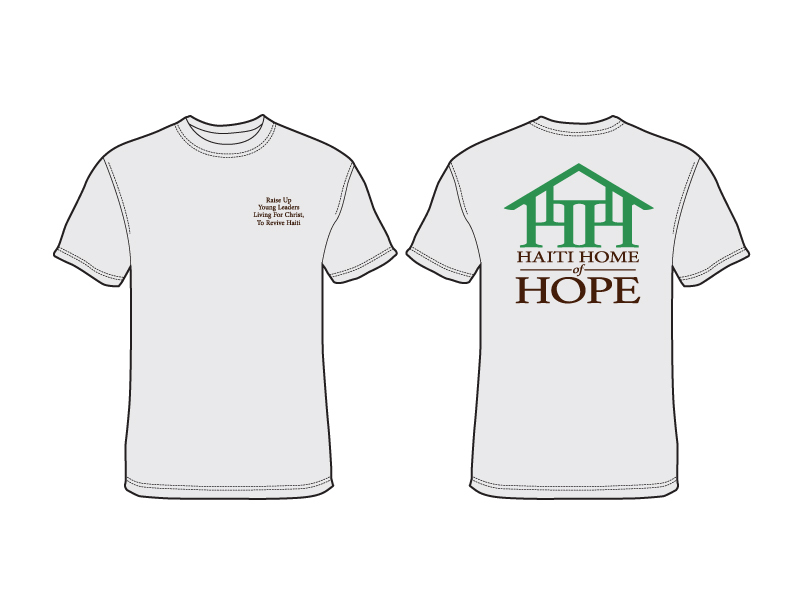 The front will have our family purpose and proposition statement and the back contains the big HHH logo. We are looking at taking pre-orders so we can print up t-shirts with as little waste/overage as possible. The t-shirts come in heather grey and in adult sizes S, M, L, XL & 2XL. If you can’t make it out to GV but would be interested in one of these beauties please let Heidi or Will know and we can take your info down. 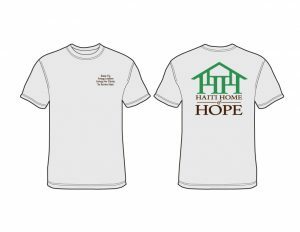 We are asking for a minimum $20 donation per shirt – all donations can be sent directly to HHH just don’t forget to designate it to “Frazier Ministry Support”. We are looking forward to a great weekend and a great Sunday morning message by Wayne Geiger! God Bless!